Xerox 3R11540 Color Xpressions+ Copy Paper - 8.5" x 11"
Digital Color Xpressions Plus paper delivers great image quality for all color copying and printing. Premium uncoated digital printing paper offers a smooth surface and high opacity. Digitally optimized for color applications. 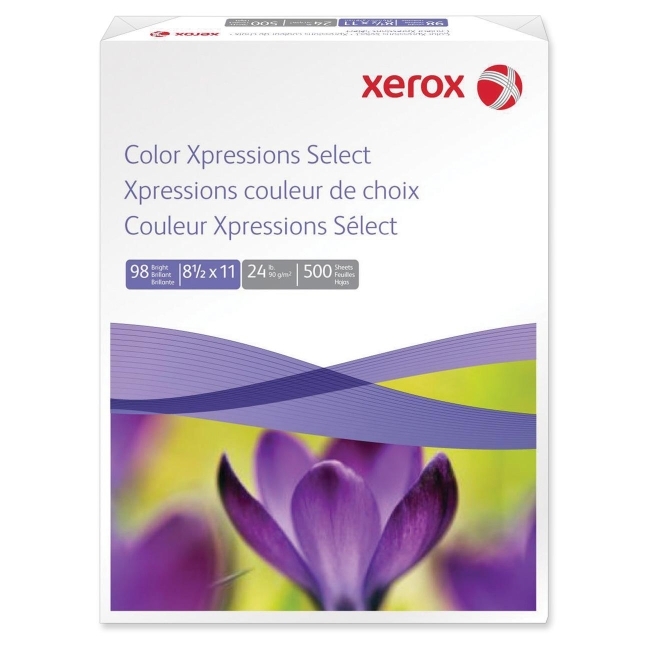 Intended for higher-end professional color applications such as posters and brochures. Color Xpressions+ paper makes text and graphic documents easier to read. 24 lb.